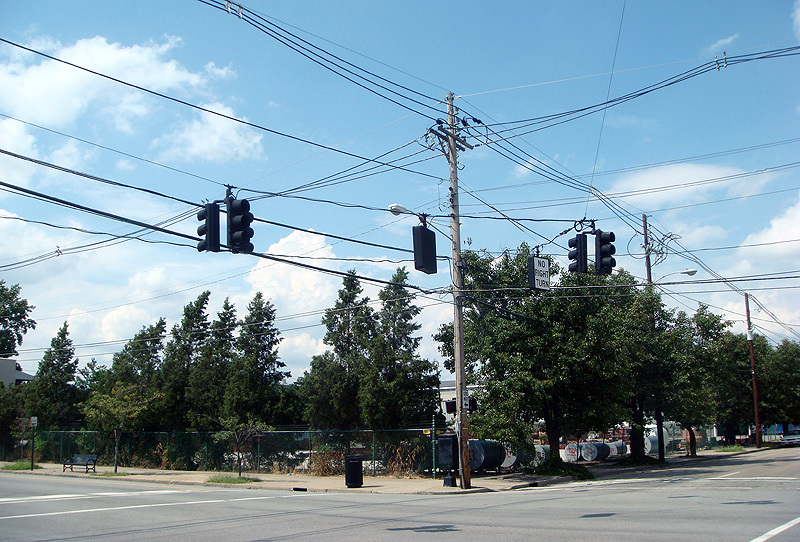 Faced with the uncertain future of its current location in the path of the planned Spaghetti Junction expansion and looking for room to expand, Creation Gardens, a local distributor of wholesale produce and gourmet foods, plans to relocate its facilities into the heart of the East Market Street – Nulu corridor. Creation Gardens owners Ron and Mollie Turnier have placed three parcels on East Market between Clay and Shelby Streets under contract and plan to build a state-of-the-art retail and commercial distribution center on the corner of Market and Shelby Streets. The land is currently occupied by the Neurath & Underwood Funeral Home and a gravel lot used to store tanks for the adjacent Service Tanks business which will to continue to operate at its current location. Plans call for a new 27,000 square foot facility that will offer fresh produce, gourmet food products, baked goods, meats, seafood, and chicken. The market will be open to wholesale buyers and the general public. About 17,000 square feet will house a “fresh-to-the-chef” distribution center and the remaining 10,000 square feet will contain a market open to the public. Also planned is a chef member’s lounge and resource library and a new restaurant could also be located at the facility. The site of Creation Gardens’ expansion was once a food market years ago. 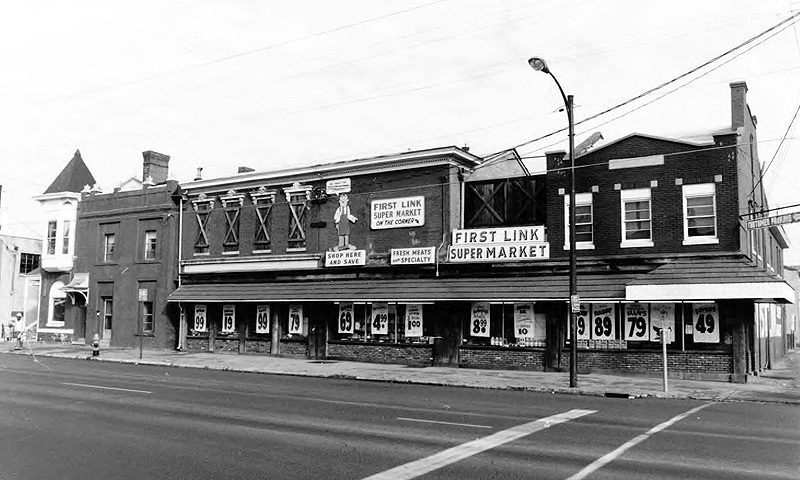 First Link Supermarket, now located on East Liberty Street at Jackson Street, once operated a grocery store on the corner. Now, the corner and surrounding region are gaining a reputation as a food hot-spot in Louisville again. Besides the Creation Gardens announcement, Gill Holland and a group of investors plan a public market across the street stretching to Jefferson Street and a restaurant row is already well established. Ron Turnier tells us that he hopes to create a “forward looking” building that respects the neighborhood’s existing cityscape. He has brought K. Norman Berry Architects of West Main Street to assist with the design. Turnier says he’s been meeting with the architects frequently to work out the final design challenges such as loading dock access to the facility. Creation Gardens will have a booth at this weekend’s Nulu East Market Festival to share his ideas with the public and display new renderings of the facility. I tend to get a little concerned when a new development is represented as a small part in an initial rendering. The concept looks very cool, but I’d like to see the actual new building before making an opinion. Thoughts? great vision, but a bit misleading with the headline and picture. looking forward to seeing the plans for the creation garden building(s). The rendering at the top shows how the Creation Gardens expansion could potentially fit into the redeveloped block, not just their project. Renderings of the actual Creation Gardens building weren’t ready for publishing but will be available at the Nulu Fest Saturday for anyone interested in seeing them. The rendering is really meant to convey a vision that the Griers of Service Welding and Village Solutions have for the block and how Creation Gardens is a part of that overall concept of a pedestrian environment. It has that open-air market feel. So far, so good! Nulu is rockin’. We can’t figure out what direction that picture is illustrated from. Which street is Main Street? 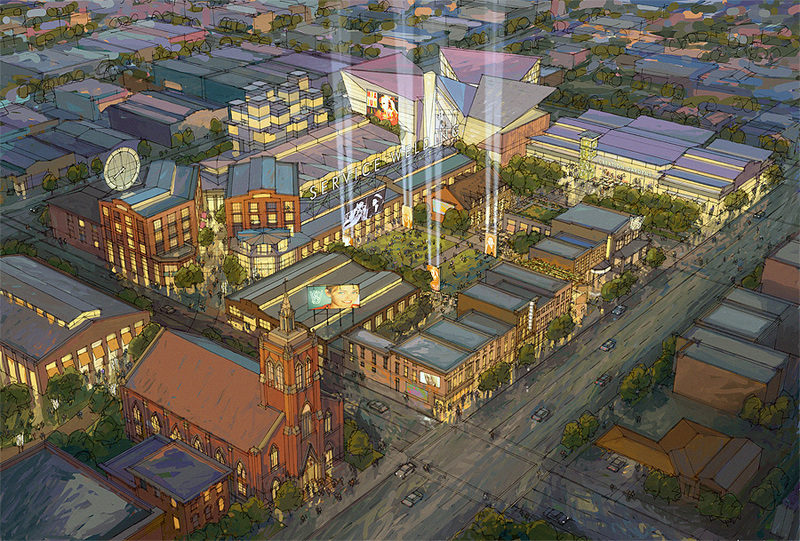 Pip, the rendering is drawn looking northeast from the corner of Clay and Market Streets. The intersection on the top would then be Shelby and Main Streets. It doesn’t look like your church was drawn in. It’s important to bear in mind, as well, that this is a concept plan. Creation Gardens will build a 27,000 sf facility on the corner of Market and Shelby (on the right side of the rendering), but the other proposed buildings are just ideas for future development. Brandon, I agree this vision brings about ideas of the Center City proposal, but what I find interesting is that this project is being conceived and started by local businesses with local money; one important difference between the two projects. While Center City has its pros and cons (that I haven’t gotten into yet on Broken Sidewalk), it’s great to see a local proposal for a neighborhood pulled up by the bootstraps by locals. The proposed redevelopment of Nulu seems to be keeping all of the existing old buildings and it appears to be incorporating all of the alleys and in-between spaces for gardens, pedestrian walks, and art installations. I don’t think we have seen anything like this before in Louisville. Very exciting for NuLu – its the new Frankfort avenue. So the financing is in place ? its ready to go ? or are we still in the planning stage…. Creation Gardens’ portion of the project is estimated to be complete at the end of next year. The properties are under contract but the deals aren’t quite complete yet. Design work is also ongoing. The concept plan for the rest of the block is much more long term and is little more than an idea right now, so don’t expect to see the full scheme any time soon.